Join Retired Plus now for just $2/month! Texas AFT Retiree Plus is a newly formed group advocating for retired teachers and school employees in Texas. Membership is open to any retired school employee. 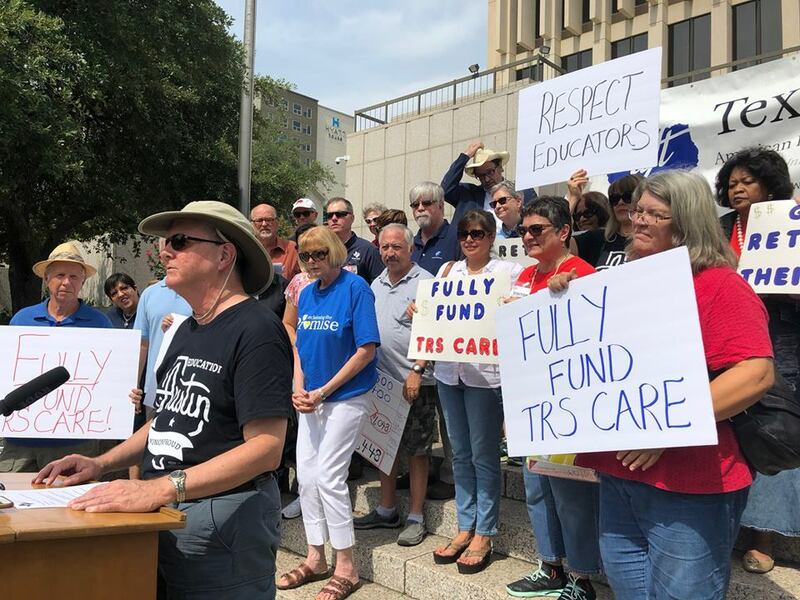 Texas AFT Retiree Plus focuses exclusively on educating members and lobbying the state Legislature about the Teacher Retirement System of Texas, protecting your pension and TRS-Care. Membership comes with a quarterly electronic news-letter, relevant information and the finest legislative advocacy. Retirees deserve a state organization that will stand strong to protect their annuity and health care through TRS. It is evident that retired school employees are facing rising medical costs and decreased benefits. Together, the organized effort of Texas AFT Retiree Plus can help deliver the respect all retirees deserve. You are invited to join today. On-line membership is quick and easy. Moreover, at $2 monthly, we are keeping the needs and budgets of our retired members in mind. Once you sign up, be sure and join our Facebook Group!